Donna and I returned from Maine July 2, 2011. Our time at the cottage Donna tired easily and found walking, especially the stairs from the deck down to the driveway very difficult. I held her arm as she navigated the stairs one painful step at a time. This trip to Maine was precious. We walked to the beach with Nina, cooked lobster, went for ice cream, and shopped in Portland. As I look at the photos from that trip she seems resigned to her reality. 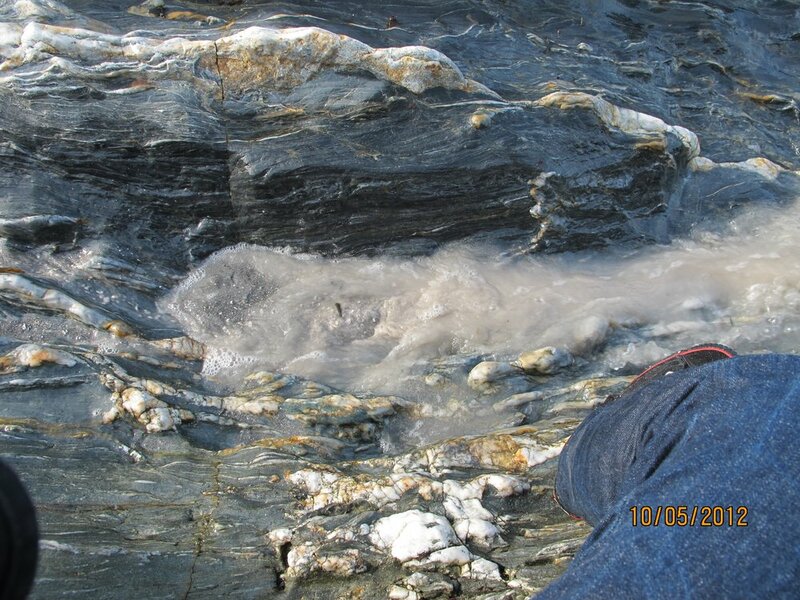 A year later, October of 2012, I went back to the cottage with Nina to spread some ashes in the cove where we once sat and stared at an infinite horizon of the ocean. When Nina and I arrived at the cottage I sat in the car unsure of why I went back. I was afraid of the memories. I felt lost and alone. Being here without Donna was a slap in her face coming to the place she loved without her. Yet here I was after six hours of driving. I took the bags to the bedroom. When I closed the door, there behind the door on a hook, as if waiting for our return, was a scarf Donna had forgotten. It was going to be okay she was there with us. July 4, 2011 was quiet and I made hamburgers. Donna’s oncologist scheduled a CT for July 7 to determine if the new round of chemo, Gemzar, was working. His hope was that if we could shrink the tumors this might resolve the pain. Donna’s first and second rounds of chemo in 2009 and 2010 worked why wouldn’t this one. Why? The pain from the hypertrophic pulmonary osteoarthropthy was not resolving and NSAIDs were the drug of choice. NSAIDs gave her some relief. Just some. On July 7 we went to the CT center. I helped her put on a gown and lifted her onto the CT table for her scan. It was freezing and Donna’s teeth were chattering. We covered her and I walked to the waiting room fearing of what would be seen. At home we had dinner and watched TV. It was an early night since the next day Donna was scheduled for her next round of Gemzar. At the oncology center we checked in at the desk and sat to be called for chemo. I stood to go get some soup for Donna which she liked while getting an infusion. As I was about to leave looking at Donna to make sure she was okay. Dr. B came out and asked us both to an exam room. As always he held the door and asked about us. We walked the hallway with exam rooms on either side. We entered exam room 5 and sat. I remember feeling I was living in the burnt edges of hope. Dr. B a generous oncologist with heart, spirit, compassion, and brains said the CT showed that the Gemzar was not working. The tumors had grown a bit. He was not sure what the next line of treatment would be if any. More troubling was the finding of fluid in the pleural cavity, the membrane surrounding the lungs. It needed to be drained. Dr. B scheduled a thorcentnesis for Monday July 11. Donna would be admitted to the hospital for two days and sent home. Needless to say we spend the weekend in a fairly low key fashion. That is being generous, it was more zombie like. On a usual weekend the events were menu selection for Sunday, shopping, either eating in or out on Saturday. Then a movie. Sunday was cooking. I didn’t have the energy or drive to shop or cook. Besides Donna was going to be in the hospital. Sunday we walked to a local restaurant three short blocks away, the Odeon. 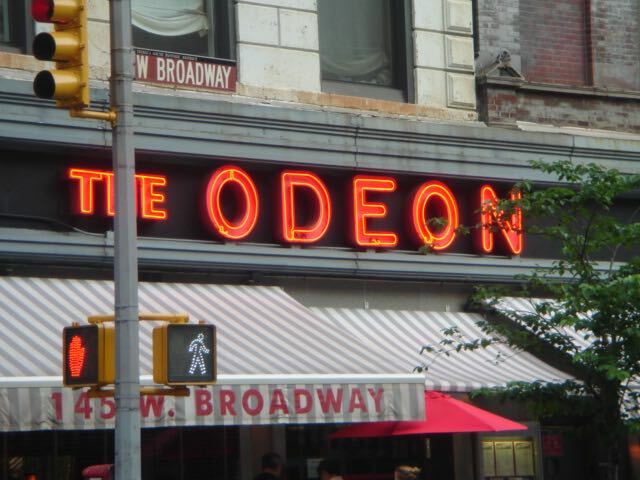 The Odeon has been a staple in the neighborhood since 1980 when it was a great dinner spot (still is) in Tribeca, best brunch for a hungover Sunday, and a late night post disco SNL crowd. We knew of it and visited before we moved here. The food was French bistro. We left our apartment and slowly walked to the Odeon. The pain was evident on Donna’s face and breaths as she navigated haltingly stepping up the curb even with a wheelchair ramps. We sat and had dinner mostly in silence. Generally we can spend time together just being us without talking. This evening the silence was not wanting to speak about tomorrow for fear the devil would take notice. The walk back was a slow and telling. It said so much than any scan, lab report, or medical file. It felt like a final chapter of a novel. We finally and painfully made it home. I helped her change into PJ’s. We watched some TV but turned in early. The next morning July 11, 2011 we woke as usual. I made Donna a latte. I had espresso. I took Nina to doggie daycare. When I returned I helped her dress and we headed out. The exercise of closing and locking the door done a million times felt different. I did not completely understanding that moment in our lives. Mostly in her life. I carried her to the corner and got a cab. We arrived at the emergency entrance of the hospital. I ran in got Donna a wheelchair and pushed her into to admitting. We were told to head to the 9th floor. Donna needed to use the bathroom. I carried her in helped her sit and carried her back to the wheelchair. This was a first for us and I am sure she was mortified. We made it to the 9th floor her room was waiting or was it laying in wait.